While most of Anthony�s time is dedicated to his own work, he is always looking for an intriguing project that inspires him. There is always the need for photographic work, whether it is conservation imagery, a company needing promotional material, magazine assignment work, or someone�s most prized possession. He is always glad to discuss a certain project that one may have. Anthony is very selective in the projects he takes on to ensure a great deal of fun and great work for all parties involved. If he feels the subject is something that both you and he would enjoy working together on photographing, he will discuss pricing details with you. Please contact Anthony by email or telephone (618) 839-6649 to discuss your project. All the images on this website are available for advertising, stock, and publication usage. Anthony's online catalog is just a representation of his extensive image collection. Specific themes or subjects can be viewed by providing keywords or image requirement specifics. Images will be made available for your review, and final images will be delivered in whatever output form is specified. Rates are based on professional standards and vary depending upon specific usage. For all licensing inquiries, availability of images, and pricing, please contact Anthony by email or telephone (618) 839-6649. 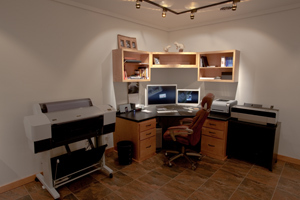 For optimum output and accuracy, all prints are made with Anthony�s own custom printer/paper profiles. Proof prints, exhibition prints, CD burning, and shipping charges are additional. Please contact Anthony by email or telephone (618) 839-6649 for additional details and booking.